Two young artists from Vietnam will arrive at the Worcester Art Museum in late August to take part in a month-long, highly anticipated residency program that many expect will bring about meaningful connections between people and cultures. Those who've worked long and hard for this groundbreaking collaboration between artists, governments, cultural agencies, and WAM hail it as a significant stride toward greater cultural understanding and support. As part of their activities in Worcester, the two young artists—one from the north and one from the south—will meet not only fellow artists and members of the Worcester community, but also Southeast Asian refugees and immigrants who came to Central Massachusetts after the Vietnam War. “These artists and refugees have much to share with each other,” says Anh Sawyer, Executive Director of the Southeast Asian Coalition of Central Massachusetts. The Coalition, along with the Indochina Arts Partnership, helped make this residency program happen. During their residency at WAM, artists Nguyễn Thế Sơn and Nguyễn Kim Tố Lan will hold weekly, drop-in studio open houses for the public, give artist talks to area youth, engage with Art Alternatives—a partnership with the juvenile court system—and participate in the StART on the Street festival on September 16. Related special events include: September 20—“Writers of the Cambodian Diaspora” panel discussion; September 21—farewell party, hosted by the Sprinkler Factory in Worcester. The following events will be held during the Southeast Asia Artist-in-Residency. The events are free and open to the public. Sunday, September 2; Tuesday, September 11; Saturday, September 15; Wednesday, September 19, 12-2pm. Thursday, September 20, 4-6pm. The public is invited to visit the artists in their studios, to observe their work, and engage in conversation. Nguyễn Thế Sơn and Nguyễn Kim Tố Lan will lead interactive art activities as part of Worcester’s annual art festival, StART on the Street. Four Cambodian-American writers—Tararith Kho, Bunkong Tuon, Chath pierSath, and Princess Moon—will read from their work and participate in a discussion moderated by Cathy J. Schlund-Vials, Professor of English and Asian/Asian American Studies and Associate Dean for Humanities and Diversity, Equity, and Inclusion at the University of Connecticut. The writers will talk about their unique experiences as political émigrés, refugees, or second-generation Cambodian-Americans and how these experiences inform their work. This program is co-organized with Consequence Magazine and Clark University’s Center for Gender, Race, and Area Studies. The Sprinkler Factory, located at 38 Harlow St, Worcester in Worcester, hosts a social gathering in honor of the visiting artists. Nguyễn Thế Sơn, who studied photography in Beijing, is a professor of fine arts in Hanoi. 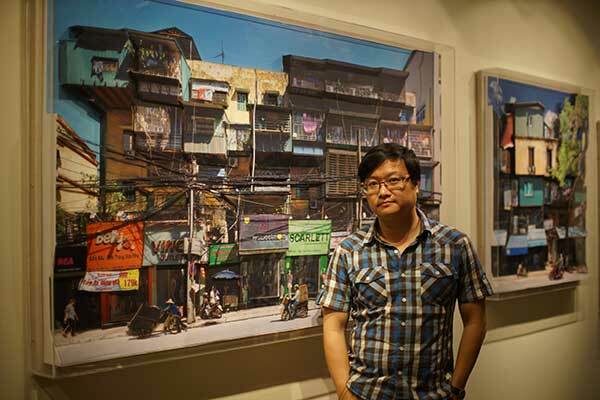 Fascinated by life on the streets, especially the ubiquitous, ever-toiling, low-wage earners who are so easily overlooked, Thế Sơn uses his photography to create large-scale, layered and sculptural dioramas that reflect his street experiences. He intends to do similar work once he arrives in Worcester. This trip is his first to the United States. Nguyễn Kim Tố Lan is a multidisciplinary artist in in Ho Chi Minh City. 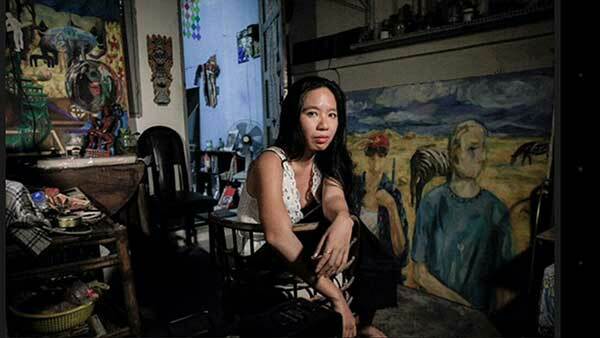 She helped found Sao La Collective, an independent art collective in the southern region of Vietnam. Community oriented, she and fellow artists have been working towards a multi-form “art” approach and creating more public engagement. The Southeast Asia Artists-in-Residency Program is co-organized in partnership with the Indochina Arts Partnership and the Southeast Asian Coalition of Worcester, and is supported by the Worcester Arts Council, a local agency supported by the Massachusetts Cultural Council, a state agency.